Still, I was in Latin America and read about this horrible tragedy in the Buenos Aires Herald. My colleague now friend Joyce Hill, a high-level staff person for the United Methodist Church, was in town and we two gringas commiserated together. It is one of those days you remember where you were…A few months later, Diann Neu and I went to spend a month in Nicaragua picking cotton and supporting the Sandinista cause. I still recall our terror as we landed in El Salvador en route to Managua, the deaths of the women still lingering in the air like a rancid odor. I daresay for many people, especially for Catholic women of a certain age, the murder of these four women was a spark that lit the torches of our own commitment that endures to this day. Eileen Markey is an investigative journalist whose work has appeared in the New York Times, New York Magazine, the Wall Street Journal, The Village Voice, America, National Catholic Reporter and BustedHalo among other publications. 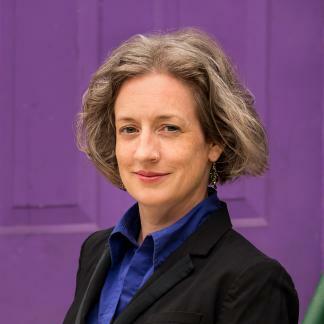 She has worked as a producer for WNYC New York Public Radio and teaches journalism at the City University of New York. A graduate of Fordham University and Columbia University Graduate School of Journalism, she has reported from London, Cambodia and Haiti, but spent most of her career covering urban poverty and public policy in New York City. Eileen grew up learning about the churchwomen and wanted to write the book to bring her journalism skills to better understand a story that had shaped her ideas on faith and political action. She lives in the Bronx with her husband and two sons. I am delighted to welcome you to WATER, Eileen. I thank you for this important book. The story is compelling. You have told it in a respectful, thorough, professional, and vivid way, peppering the text with footnotes that provide even more context and content. Mostly, it is a powerful read about a woman—Maura Clarke, a community–Maryknoll, a movement—solidarity with Latin America, and so much more. Eileen: Thank you for the lovely introduction. It’s great to be with all of you. So much of Maura’s life was about community and connection. So much of it was solidarity with women, so it feels particularly good to be here with you. Maura’s story is the story of women religious in the 20th century. For many of us lay Catholics it’s a history that can help guide our future. It’s the story of coming out of the convent and having hearts broken by immersion in a suffering reality. Choosing the far more vulnerable solidarity – that’s what Maura’s story is. On December 2, 1980, four US women were killed by the military government of El Salvador, a cold war US ally. The US had been sending logistical support to that military. The Salvadorian government was systematically suppressing a grassroots movement for social, political, and economic reform. The country was spinning towards war. These women were three Catholic nuns and a laywoman. Maura Clarke, Jean Donovan, Ita Ford and Dorothy Kazel. Let me read to you a little bit from the beginning of the book “The grave was fresh. The soil yielded easily to the shovels. It was no trouble, really, to uncover the bodies. They were piled one on top of the other, buried quickly he day before by orders from the local military commander. In minutes they were hoisted from the narrow ground and laid beside each other in the cow pasture. Their clothes were askew and their faces dirty, their hair matted with blood. Two of the women appeared to have been raped. A tigüilote tree, its limbs reaching over the place where they lay, cast a little shade. The women had been missing for a long day and a half. Now they were found. As Mary said, the murders were an international incident, it created an increased awareness of the U.S. role in Central America. The U.S. has always played a role in propping up governments considered good for businesses. When four U.S. nuns were killed it made people wonder which side we were on. These women are still taught in Catholic Schools as an example of religious piety, as martyrs. But these churchwomen were not unique, they were part of a broad and significant social movement that spanned multiple countries. Maura was intimately involved in this movement, she was not apolitical. But if we focus exclusively on their death, it’s like thinking about only Good Friday. When we focus only on their graves, they’re an indictment but the women are silent. Sometimes we like silent women more than live women, with agency. My job was to find out how Sister Maura lived, and what led her to her death. Maura was a sweet, open, gentle, product of the 1940’s. Not terribly organized, incredibly empathetic. Many people talked about her as being incredibly connective and empathetic. You had her full attention when you spoke to her. Keep that in mind as I describe some of the work she did – it might be counterintuitive. She was a child of an alcoholic with all of the characteristics that come with that. A terrible need for approval, a hunger for acknowledgment. She was a people pleaser. She was able to turn this need for approval into regard and connection to the other most in need of recognition. She recognized the humanity of the person next to her. Maura entered the convent in 1950. Entering the convent was not running away from life, it was running towards a life of higher education not defined by marriage. Her first mission was in Nicaragua. The Maryknoll mission had been there for about 50 years when she arrived there. They were on pretty good terms with the dictatorship. It was a poor and exploited mining town, the sisters ran a school and health clinic. They were not unfamiliar with economic injustice, but didn’t feel the need to rock the boat, but they saw injustice and they hated it. But the work of the sisters began to change in the middle of the 1960s as documents from the Second Vatican Council began to circulate. As Maura began to grow into who she was meant to be, she began to change too. She instituted a religious formation program for adults in Nicaragua and this was one of the turning points in her life. The meaning of the phrase “the body of Christ” was taking new shape for Maura. Maura understood the phrase “body of Christ” to mean those in the pews as well as the tabernacle. This idea of the body of Christ meant that the children of a one eyed farming impoverished were part of the body of Christ. Where is Christ, and what is church? These are the two things that expand and transform over the course of her life. The concept of church as the family of God meant that people had a responsibility to care for each other, and that people had rights. When Maura left for Nicaragua in 1959 she thought she was going to bring Christ to the people. That was the mindset of the time – deeply colonialist. When she arrived she learned that Christ was already there and that she was to work with poor people. It was an act of changing sides. Maura saw more and more keenly the injustice people were subject to. If these people were the body of Christ, they were being tortured. She was immersed in the people she lived with, she found solidarity with them. By the end of the 1960’s they become organizers of a new way of being Church, gathering people together to pray, study, and build intimacy. Initially the work was simple, going around and conversing with people, treating them like they matter. There was so much hope and energy in this new form of church that treated people with dignity. This idea of asking poor people what they thought that the Bible meant for them was revolutionary. It carried the promise of the gospel into the public square. They claimed justice as children of God. The government realized that taking these Christian values into the public square was a threat to their power. In 1980 Maura decides to go to El Salvador. She has been a sister for almost 50 years now, following the call and answering the question of where is Christ crucified for us today? How could she not go there? She did three kinds of work in El Salvador, she was only there for four months. She documents human rights violations, recording details and names, for the archdiocese to keep and later persecute. The poor people were trying to get rid of an unjust government but the government’s plan to handle this was to annihilate them. They are siding with the people the government is trying to erase. They also deliver food and clothing to the poor. If you were involved in any unions, the family would suffer these reprisals so often people fled their farms. This is why Maura wrote about her fear of famine, because people couldn’t return home to their farms. She delivered food and clothing to people on the run. The third part of their work was rescue; people in fear of their lives would show up at their door. They took them in trucks through military checkpoints to San Salvador where the archdiocese built makeshift refugee camps. In each of these cases Maura is choosing to go deeper and make the connection. She is choosing solidarity and connection over the precarious conforms of remaining aloof or above. Everything is about communion, she was radicalized by experience. Her refusal to close her eyes led her deeper into suffering and deeper into communion. Mary: You conclude this book, “I puzzled for three years over Maura’s death. Was it religious? Was it political? Is there a difference? For Maura it was personal. She had an open heart. Everyone mattered.” I get that. But why did YOU write it? What drew you to her especially, though of course she is known in conjunction with Jean, Dorothy, Ita? What drew you especially to Maura Clark? Eileen: I’d had years of struggle with Catholicism and had really been driving myself mad for seven or eight years. But I knew this part was real. That the bit of it I’d learned as a child was real. I wanted to dive in deep on something that spoke of the deep truth of Catholicism. I wanted to understand something about this religion I inherited. Then Maura’s sister emailed me asking to write this book. She had reached a level in her grief where she just wanted people to know her sister’s story. That email came to me as somebody who cared about this stuff, as a lefty social justice minded Catholic who was also a journalist. It came to me when I wanted to explore deeper this religion. I was also interested in Maura because she was the oldest of the four. She grew up in a Catholicism that is different than Vatican Two Catholicism. I wanted to understand how an Irish immigrant Catholic journeyed from that older model to the liberation model she eventually was a part of. Q: I was curious if you might be able to tell us anything about the ways of prayer of Maura and her colleagues. I understand that her life was an amazing prayer in itself. But how did she pray? What kind of language about God was used, etc. Eileen: During her later years in Nicaragua and El Salvador a lot of her practice was getting up early before the neighborhood got going. It was a busy neighborhood so she found peace early in the morning. She would take a scripture reading for a day or open the bible and pray on the verses it came to. She made traditional retreats as well. In 1976 on a week long Ignatian silent retreat and I was able to access her journal from that. And then when she’d doing the community work in Nicaragua her prayer and faith activities center around reading the Christ narrative and asking the people she’s with what does this mean to you. Q: Thank you so much for being with us Eileen and writing this book. I’m calling in from Missouri. About a year and half ago I got back from living with a family that knew Sister Maura. I just have so much gratitude for this book. Something I appreciated in El Salvador was hearing the stories of these sisters. These stories need to put to paper as the people who know them are aging. Did you feel that sense of urgency when you were talking to people who wanted to tell these stories. Do you feel enough attention is being directed to El Salvador and Nicaragua today? Eileen: I spent a lot of time in Maryknoll retirement center and several people died before I was able to talk to them including Robert White. There was a feeling of racing throughout and it was the same in El Salvador and Nicaragua. There are a couple of great oral history collecting programs going on and documentaries of the war era being made. There was a truth and reconciliation movement in El Salvador but a lot of people think it is not complete. In a less heavy way you think about the stories in your own family and you know some of them but you really don’t know all of them. It seems strange to a lot of us North Americans a lot of our understanding of that country comes from the War. But of course if you were there for a while you know that teenagers today don’t know anything about that war. There is this great hole in the history. There’s never a time you want to bring that up. Capturing that memory before people die and capturing the hope and beauty of that movement is really important. We recreate life on the stories we know. We need to feed our imaginations for other impossible things. Diann: I just want to thank you so so much. I think the silence after you finished talking was a profound silence of being in the midst of a powerful story that some of us lived. I’m mindful that we have Nicaraguan rocking chairs in our living room. At that time the Maryknoll sisters found two rocking chairs and put them on our bed. I sit on those every morning and right now I look out to this cherry blossom tree. You have brought me a new prayer moment of being with the Saints, I put all four women and all the people of that era in that category. I remember what it was like to walk through and see the blood on the sidewalks and the fear in the peoples faces. Especially at this time of the Trump danger moment for all of us. I think we need to remember the stories and what needs to be done to be brave in the face of danger. Eileen: The book was published on Election day. All my publicity was informed by that. One of the things I take is that we should ask the El Salvadorans and Nicaraguans because they know how to deal with this. Mary: I’m sad to say they do and we are learning.